As a city, Leicester has a strong tradition and reputation for excellence in diabetes care dating back more than 70 years, with Dr Joan Walker’s pioneering work leading to the establishment of the first community diabetes clinic, the first specialist diabetes nurse and she pioneered the patient centre multi-displinary team (MDT) approach to diabetes mellitus fifty years before her time. Our city is home to the Leicester Diabetes Centre, a national and international centre of excellence in Type 2 diabetes. 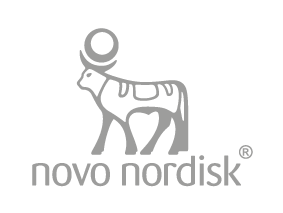 Based in University Hospitals of Leicester NHS Trust at the Leicester General Hospital site, it is Europe’s largest diabetes facility and is responsible for world-leading clinical research, evidence-based education and cutting-edge innovation. As a partnership and collaboration between the University Hospitals of Leicester NHS Trust, the University of Leicester, with strong links to local City Commissioning Groups, the Centre is uniquely placed, bringing together clinical care, primary care and academia. The Centre’s pioneering work has driven up standards in diabetes care worldwide, uncovered new insights about prevention and the impact of treatments and added to the global evidence base on a condition posing a major threat to world health. Based in the heart of the Midlands, it is a state-of-the-art hub spanning 4,000 square metres, the Centre includes research clinic space, a fully equipped specialist physical activity laboratory and wet lab. Complete with seminar rooms and modern conference facilities, it provides healthcare professional and patient teaching and education. 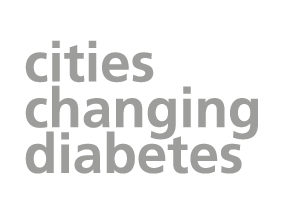 Learn more about the project and the other cities changing diabetes. Leicester is the final resting place of Richard III - one of the few monarchs to be buried outside London or Windsor. He was interned in Leicester Cathedral in 2015. Leicester is home to the biggest Diwali celebrations outside India. First broadcast way back in 1967, BBC Radio Leicester was Britain’s first ever local radio station. Leicester Market is the biggest outdoor, covered market in the whole of Europe. Leicester is home to the first Jain temple to ever be established in the Western world. It remains the largest in the UK to this day. It’s believed Leicester has more traffic lights than any other city in the UK. In 1841 Thomas Cook, founder of the famous travel agency, is credited with inventing tourism when he chartered a train to carry people from Leicester to Loughborough.